I've noticed a lot of excitement surrounding Barrell Bourbon and their products on social media lately. 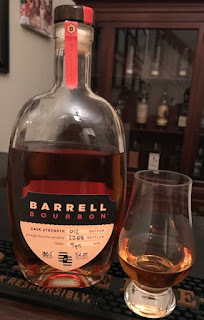 It's been almost two years since my last Barrell Bourbon review (batch 005), and it's been a pleasure to watch this company grow year after year. As if curating sought after bourbon wasn't hard enough, they're also selling rum, rye and American whiskey now! Batch 012 is their most recent Bourbon release. Distilled and aged in Tennessee, Batch 012 was crafted in Kentucky and bottled at cask strength. ​​Nose: Waves of rye spice with a splash of cinnamon and nutmeg. It's rich with sweet corn, chocolate covered raisins, and red fruits. ​Taste: The mouthfeel is chewy and rich. It leads with pepper spice, cinnamon, and raisin bread. The spice is balanced by a gentle sweetness. I taste cornflakes, whip cream, and milk chocolate. ​Finish: Rye spice align with toasted oak. Smooth, yet warming. Conclusion: The flavors in Batch 012 blend together elegantly. In my opinion, there's nothing better than cask strength bourbon; this has a deep, cask strength character which, hands down, exceeds expectations. It seems they are sourcing bourbon that is more mature and well rounded these days, which is great. I'm looking forward to more nice delicious releases from Barrell Bourbon in the future! 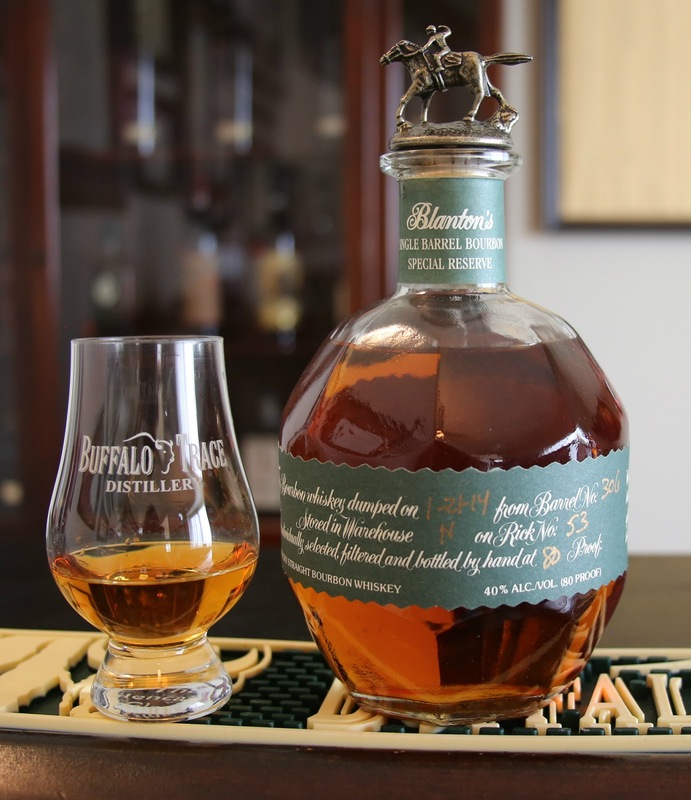 Blanton's Special Reserve is one of the many export only bourbons offered by Buffalo Trace. Luckily, it is easily found overseas; whenever I've been on a cruise ship or in an international airport, I see these in duty free shops collecting dust. Similar to the other Blanton's products, Special Reserve is a single barrel bourbon with no age statement. 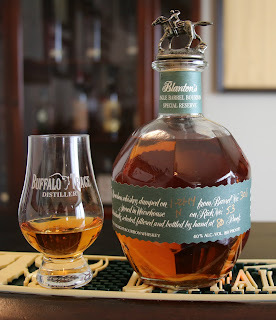 Bottled at 80 proof, it's considered to be the low end of the Blanton's product line. Nose: Fluffy vanilla, apples, and caramel. Slight spice and a fair amount of oak. Taste: Watery mouthfeel. The oak cuts heavy into the palate and lingers from start to finish. The other flavors are less distinguishable, I taste vanilla jelly beans, caramel apples, and a hint of rye spice. That being said, it's surprisingly flavorful for an 80 proof bourbon. Finish: Quick and dry with a fading wood note. Conclusion: Blanton's Special Reserve is one of, if not the best, 80 proof bourbons I've ever had. It's fairly balanced and boasts deep oak notes usually found in older bourbons. It's still my least favorite of the Blanton's bunch, but not by much!